Scenario: called to A&E to assess a 24 year old woman who fell off her horse and injured her knee. 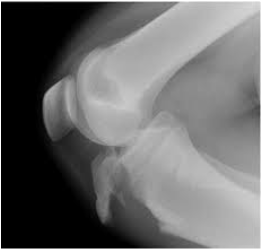 Mechanism: Similar to ACL injury. 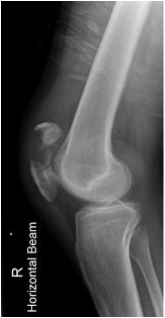 Associated with other intra-articular knee pathology in 40% of case. Mechanism: Active quads extension with knee flexed. If displaced needs closed or open reduction and fixation.